Domino Pins, now with extra cheek! 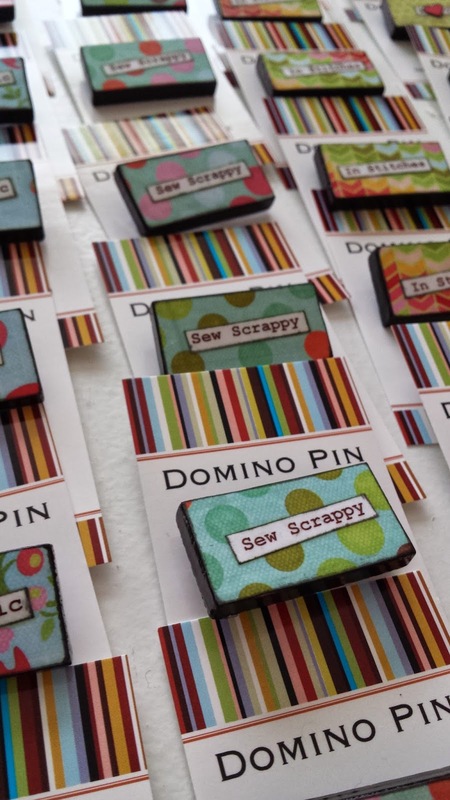 When I first started making my Domino Pins, my number one rule was to “be nice.” No profanity, no negative or provocative statements – just friendly, uplifting, g-rated messages. Ah, to hell with that. These new, cheekier pins are way more fun! How did this big change come about? Well, I’m much, much (ok, not that much) older than I was when I started this whole thing. With age comes decidedly less thought to what others may think. Zero fucks, if you will. Subversive crafting is my new favourite crafting. There. I’ve said it. Hands down, the highlight of the 2016 Christmas craft sale season was the W.E.S.T. (Winnipeg ETSY Street Team) Holiday Craft Market, held at the St James Civic Centre on December 17. It was my first W.E.S.T. sale since… ack… since forever, and it definitely didn’t disappoint. Along with dozens of Domino Pins, cards, and a couple pieces of framed art, a huge pile of t-shirt pillows (including all of the ones pictured here) went to their forever homes. Thanks to all who came out to support local makers!! I’m looking forward to re-stocking the shop with some new pillows and pins for the Spring 2017 sales, but for now, it’s nice to be able to take a little break and recharge the creative batteries. 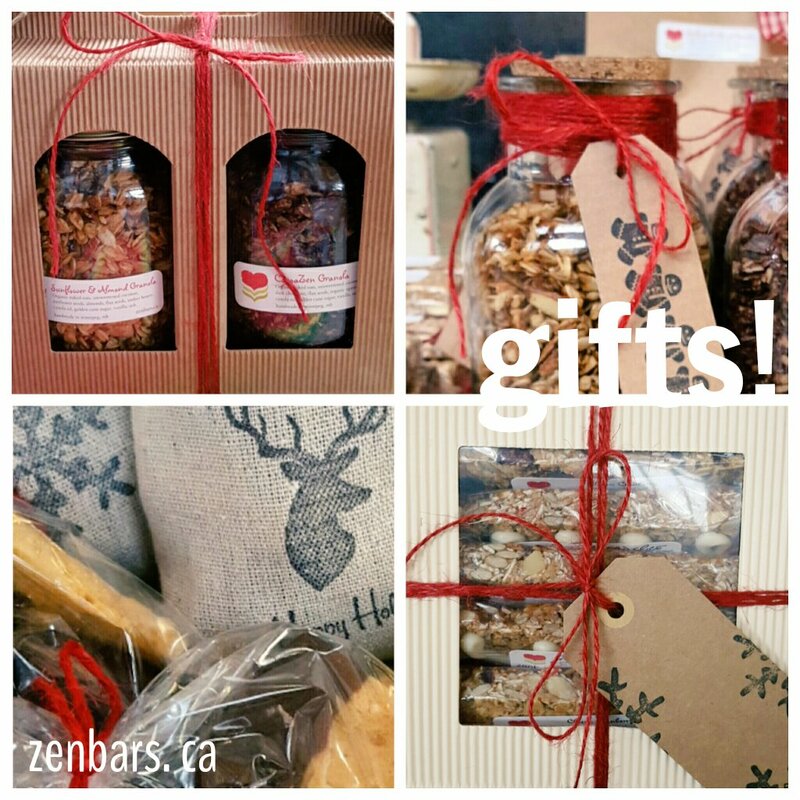 If you are looking for some sweet gift ideas, check out our sister site, Zenbars. We have the yummiest granola bars, granola and, just for a treat – the best handmade, chocolate-dipped sponge toffee! Everything is beautifully packaged for giving, and can be shipped or delivered until December 23. Prices range from $3.50 to $16. Delivery within the city of Winnipeg is free on orders of $20 or more. Over the Top 2015 – a sneak peek! There are about a million signs of spring – puddles, potholes, birds, flowers, bare legs. 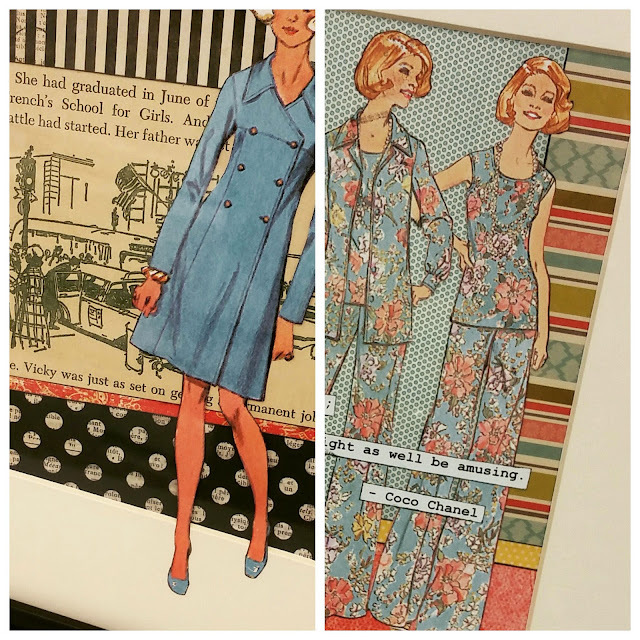 But, for me, the first indication that spring has sprung is MAWA’s “Over the Top” – an annual gathering of artists, collectors, and cupcake enthusiasts. Every spring, we cram ourselves into MAWA’s little space on Main Street and cram cupcakes into our face-holes, while bidding on art and rubbing shoulders with Winnipeg’s creative who’s who. If that’s STILL not enough to tempt you, your ticket gives you free reign at the cupcake tables on Sunday afternoon. Yes, TABLES with an S. What puts this event “over the top” is the thousand or so cupcakes donated by amateur and professional bakers, like me. (I will be contributing two dozen lemon curd and two dozen spiced apple…more about those later…) It’s a proven fact that you can’t be miserable while eating a cupcake, so this pretty much guarantees that you’ll have fun. Even if you don’t win the painting that you had your eye on. Oh, and there’s also a raffle with some seriously amazing gift baskets crammed with local goodies. Convinced yet?? Bidding starts tonight and wraps up at the big shindig on Sunday (2-5pm). For more information, please check out the event page on MAWA’s website. I’ll see you on Sunday! If you get there before me, save me a cupcake or three! How’s this for a sweet deal? Order an Oh, Honey! Lipbalm and I will wrap it up for free! 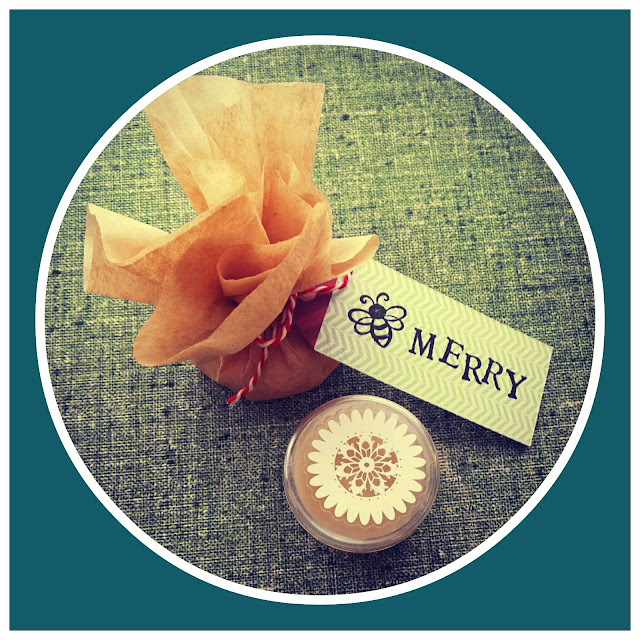 Hand-stamped “Bee Merry” or “Happy Holidays” tag included.